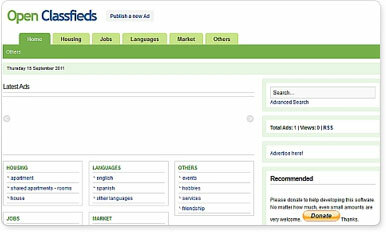 OpenClassifieds is a free open source script for classifieds, advertisement or listings. This web application is developed to be fast, light, secure and SEO friendly. Template enabled and easy to administrate. OpenClassifieds is released under the GNU GPL.